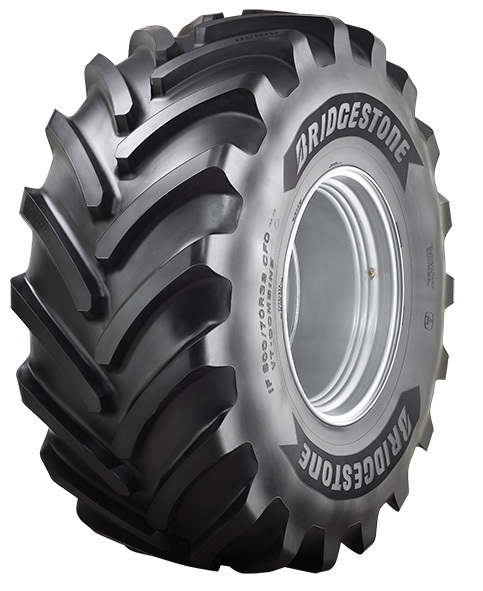 Bridgestone are set to make a big impression at Grassland and Muck 2017, launching its largest agricultural tyre to date at this national event. Bridgestone will showcase the IF1050/50 R32 CFO at the Stoneleigh event, with the tyre joining a selection of premium products already within the brand’s portfolio. Farmers and Contractors will be the very first in the United Kingdom, to see the new tyre as it is officially introduced into the marketplace. This latest introduction to Bridgestone’s range of tyres is manufactured to the higher Increased Flexion specification standards, giving the tyre 20% greater load carrying capabilities, or a 20% reduction in operating pressure, to that of a conventional tire. Developed with large scale, high-output muckspreading operations in mind, the IF1050/50 R32 CFO meets all Cyclical Field Operation specification. 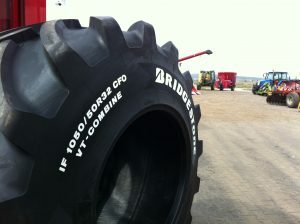 Prior to the unveiling, Steve Hewitt, Agricultural Product Manager for Bridgestone UK said: “We are looking forward to presenting the latest tyre in the Bridgestone portfolio to visitors at Grassland and Muck 2017. “The tyre is our largest to date and we are proud of the huge benefits that it can bring to any large muckspreading operation. 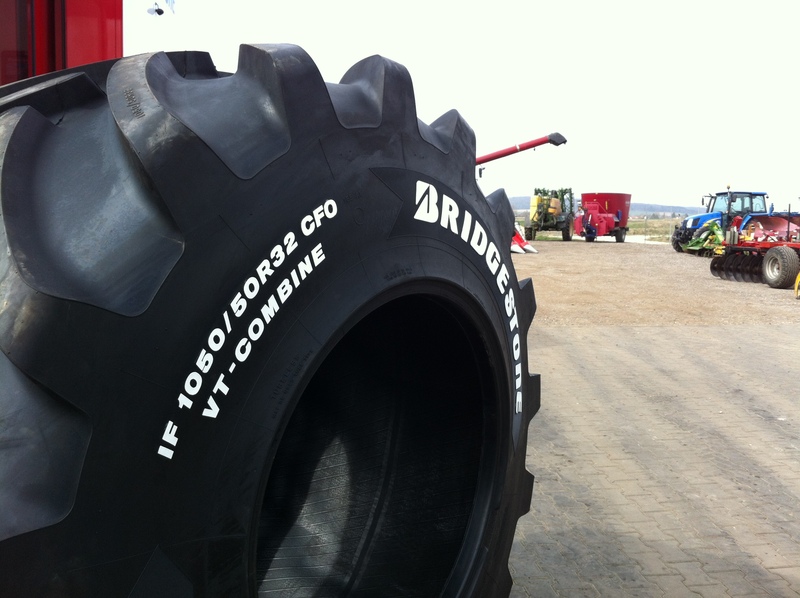 Members of the Bridgestone Agricultural Tyres team will be available on the day to discuss the product, its benefits & application, at Stand 816 from 8.30am on 24-25 May. The largest manufacturer of tyres and rubber products worldwide, Bridgestone leads the way in quality, technologically innovative goods and services and is a trusted brand that goes from strength to strength. Established in 1931 in the small town of Kurume, Japan on the island of Kyushu by its founder Shojiro Ishibashi, today it is a multi-billion-pound business with 178 manufacturing plants, in 25 countries and a presence in over 150 markets worldwide. Always seeking to be the best at what it does, Bridgestone is focused on its mission of “serving society with superior quality” through an enviable range of products that satisfy the needs of the customer and society as a whole.